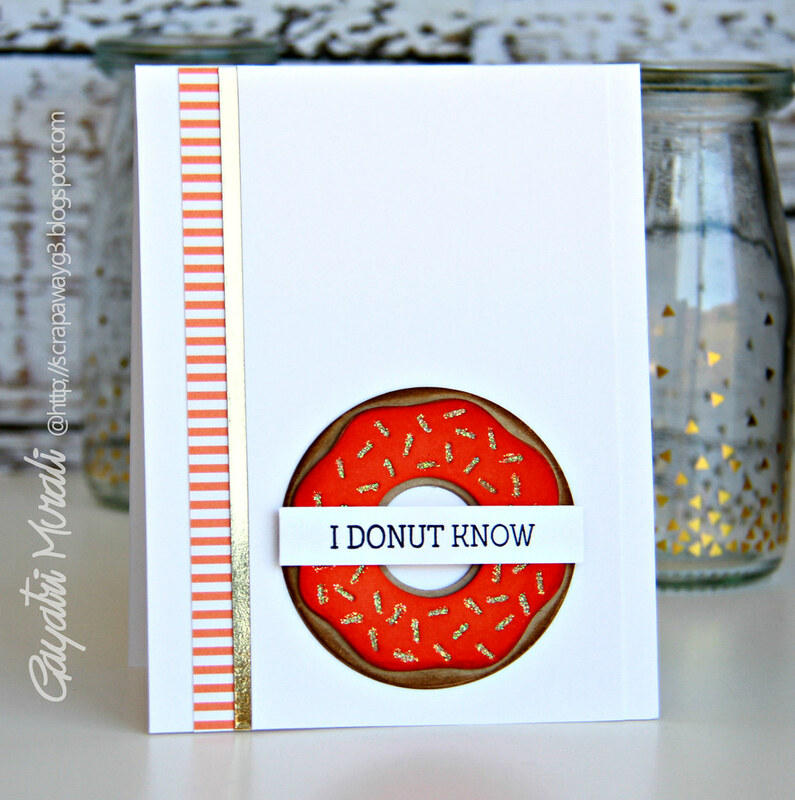 I have been playing with the Donuts dies from MFT since it arrived on Friday. 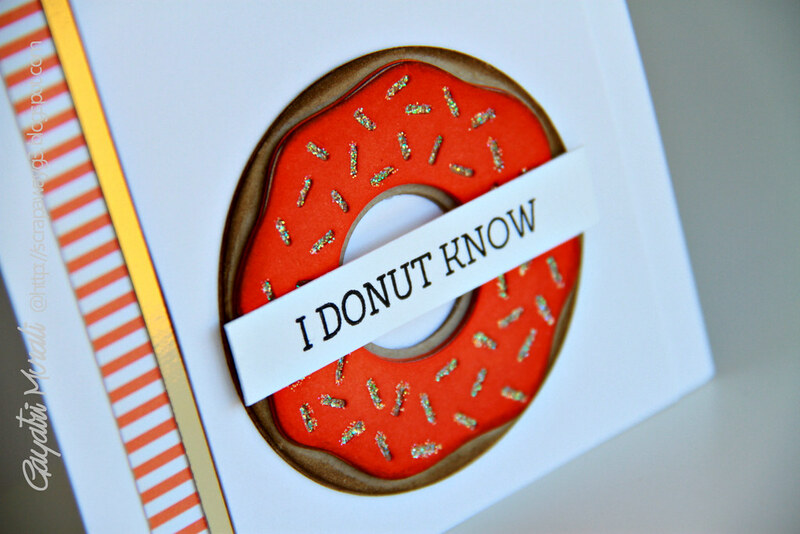 I simple die cut a few pieces of donut base from kraft cardstock, then the icing from orange cardstock with one icing piece die cut with the sprinkles as well. I then sponged some Gathered Twig distress ink on the base die cuts and Ripe Persimmon distress ink on the icing. I stacked glued the base die cuts. Similarly the icing die cuts with the sprinkled one on the top. Glued the icing stack on the base stack. I love the dimension due to the stacked die cuts. I then added some diamond stickles inside the sprinkles. I love the donut. Adhere the donut to the white panel, For the strip on the right side of the sketch I used an orange striped pattern paper with a strip of gold foil cardstock. I only stamped one half of the sentiment on a strip of white cardstock. You can personalise the rest of the sentiment on the inside of the card. Awesome color. Love the sparkly sprinkles. Looks good enough to eat. Gayatri this is fabulous! I adore the donut you created and the added touches of gold, perfection! Too cute Gayatri, the shimmer is perfect! So cute! I love the vibrant color! Gayatri, this is pure perfection! LOVING the gold. Thanks for joining us for the MFT Sketch Challenge!